$5.00/strand after 30% off. 15 beads per 16" long stand. 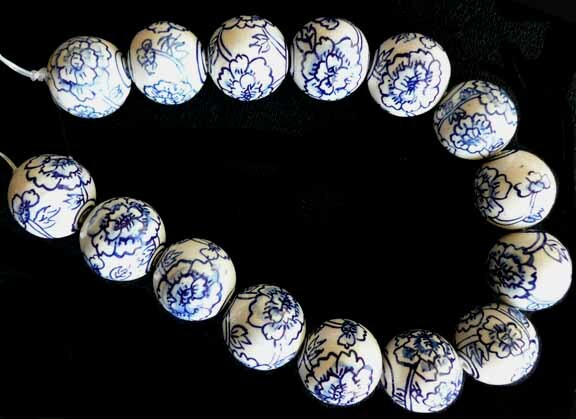 Hand-painted traditional Chinese floral pattern.